Xian H-6K Turbofan Badger cruise missile carrier (Xian). New build Xian H-6M Badger cruise missile carrier (Xian). The PLA's principal strategic strike aircraft is the Xian H-6/B-6 Badger, which compares closely in size and performance to the long retired RAF V-bombers. It is credited with a combat radius of 1,300 to 1,800 NMI (2,400 - 3,300 km). 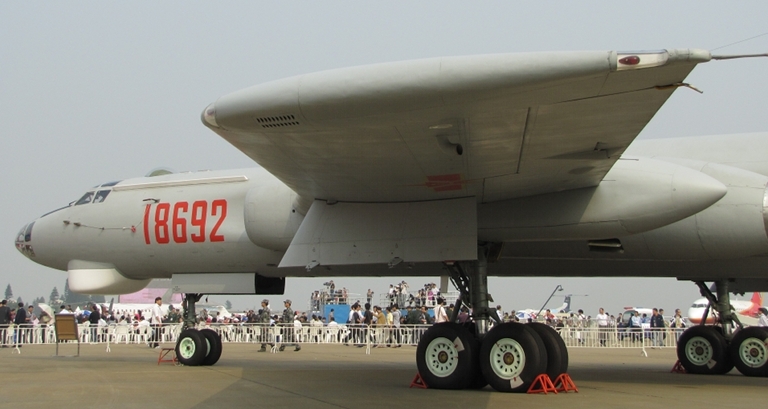 China has had a long love affair with this Tupolev designed offspring of Boeing's B-29. 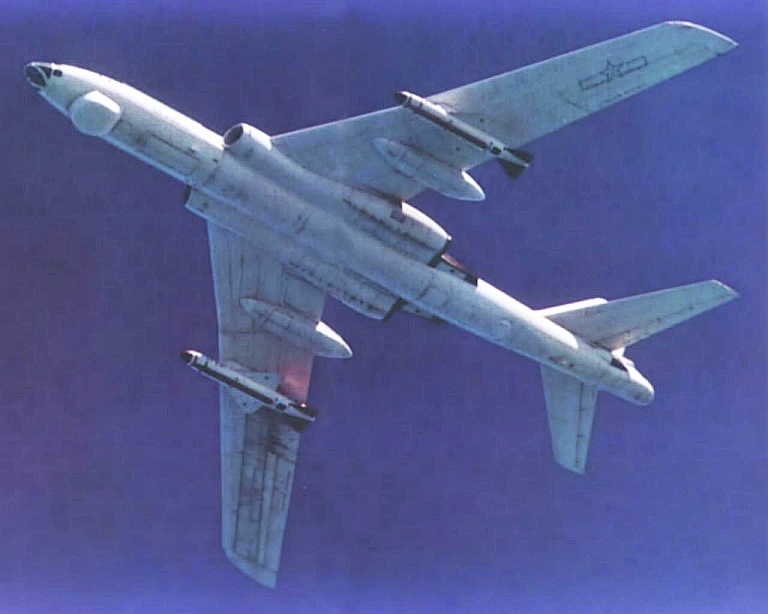 During the 1960s Xian (Harbin) reverse engineered the Tu-16K Badger A/B [More ...] to provide a nuclear strike force, with most of the currently cited inventory of around 120 PLA-AF H-6E/I and 30 PLA-N H-6D Badgers built between 1968 and 1990. 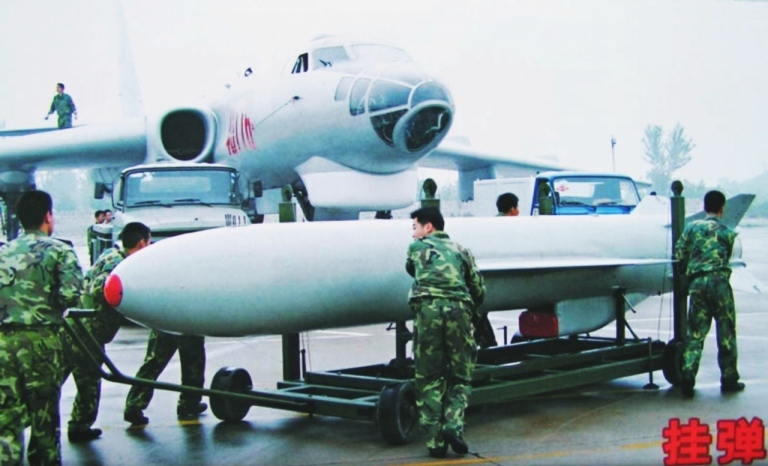 China's Badger production ramped up during the 1970s and slowed down post 1990 when the last four H-6Ds were exported to Iraq, with spares being an ongoing export to support Egypt's Soviet supplied Tu-16Ks. 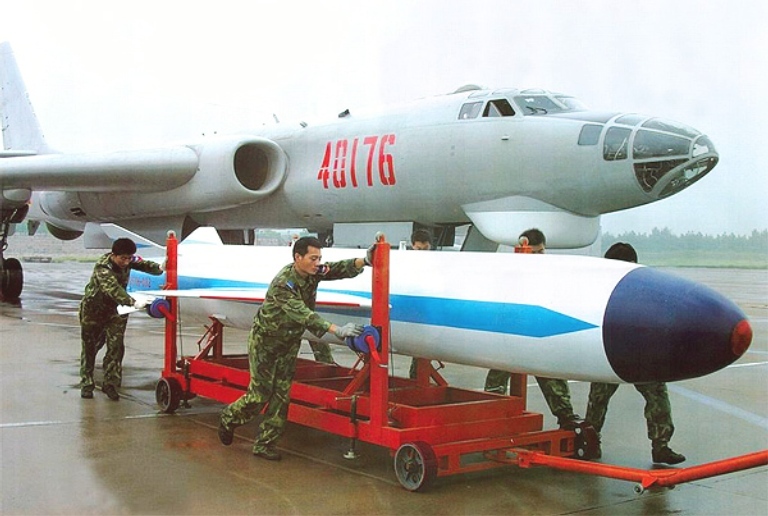 Initial models were essentially cloned Tu-16/16K/16KS Badger A/B, designated H-6A in PLA-AF service and armed with dumb bombs or special weapons. Two B-29 style remote control barbettes and a tail gunner's station, each with paired Nudelman-Rikhter NR-23 guns were retained, including the PRS-1 Bee Hind tail gun radar. The most recent reports from China suggest a third new build variant is in test, usually labelled the 'H-6K'. This subtype has a solid nose completely revised against the legacy H-6U, six wing pylons for cruise missiles, possibly one centreline pylon, and a bomb bay fuel tank. The new nose section and crew station employs a multiple large panel glass cockpit, ejection seats for the three or four crew members, a large aperture attack radar, ventral thermal imager turret, and EWSP blister radomes. 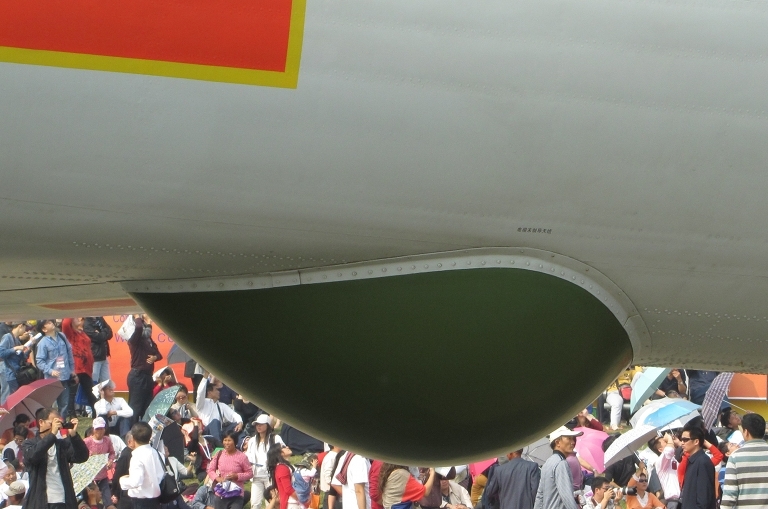 Poor quality imagery available indicates that a much larger engine inlet is used, indicating that claims of a new turbofan engine are indeed correct. Chinese sources are claiming the Saturn D-30KP-2 is employed, due to a purchase of the several dozen of these engines in recent years. The 'H-6K' is thus the most radical development of the H-6 Badger to date. With much lower SFC than the WP-8/RD-3M engine of the baseline Badger, and ~85,000 lb of internal fuel, this variant will outrange all earlier Badgers signficantly (until engine type and installed SFC are known more accurate estimates of range increases are problematic). 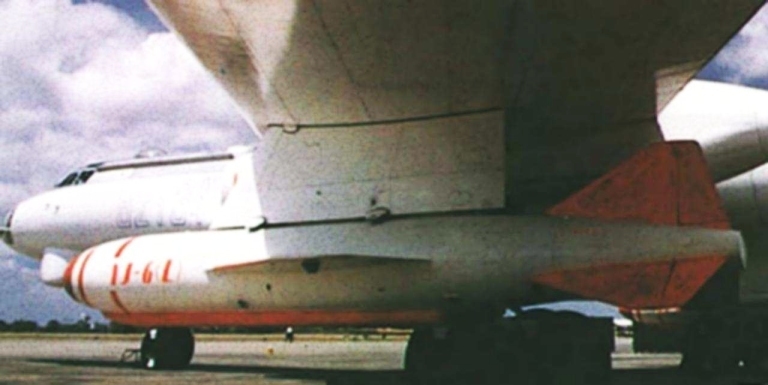 The missiles visible on existing imagery are of the configuration of the Kh-55/DH-10/YJ-62, but poor quality precludes a more accurate assessment. What is clear is that the H-6K is designed as a cruise missile carrier to fit the 'second island chain' strategy. 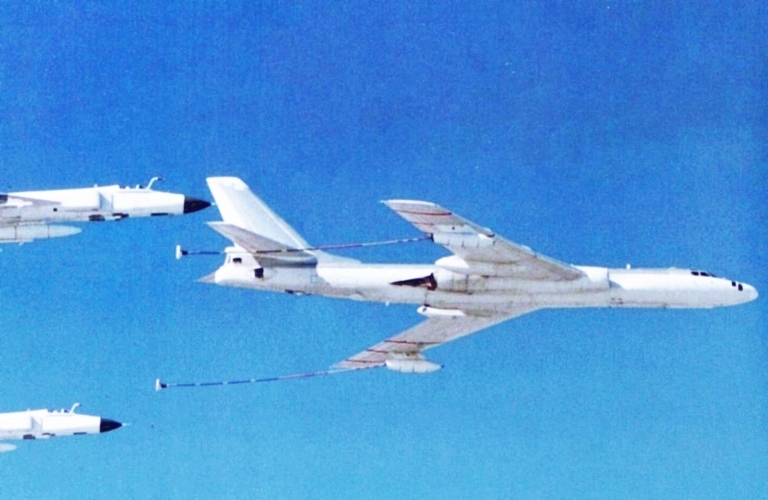 Soviet supplied Tu-16K Badgers were flown by the Egyptian Air Force, using spare components supplied by XAC in China (US DoD). The sole operational tanker type in PLA service is the indigenously built Badger, although imported Il-78 Midas will be introduced soon. It is not surprising that the H-6 is the basis of China's first tanker as the Badger is available cheaply, and is large enough to be useful. With around 167,300 lb (75,800 kg) MTOW, 82,000 lb (37,150 kg) BEW, and an internal fuel payload of about 85,000 lb (38600 kg) using a bomb bay tank to supplant a 20,000 lb (9,000 kg) internal bomb payload, the Badger makes for a reasonable tanker in the size class of the HP Victor K.2. With a total fuel uplift at MTOW about one half of a KC-135E/R, each Badger in practical terms can adequately support only two fighters. Exact details on the number of H-6 Badgers converted to tankers are sketchy, as is technical detail on the configuration of the tanker. The aircraft is claimed to have dual INS and dual TACAN beacons. 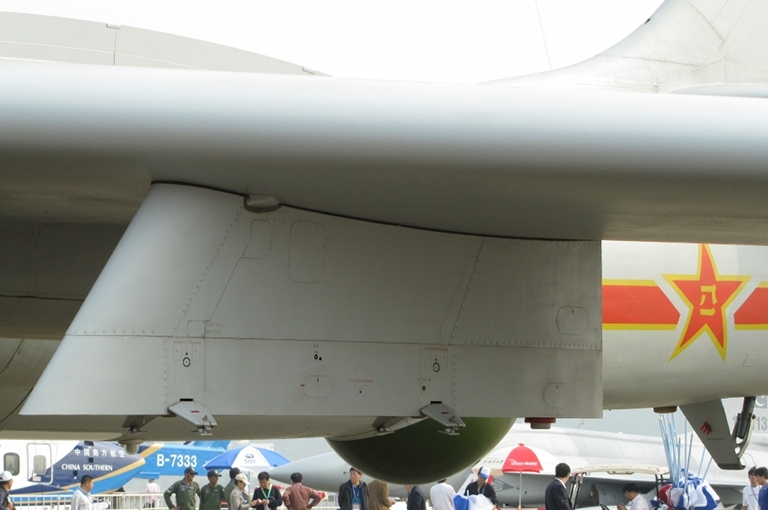 At least two variants have been reported, the PLA-AF H-6U and PLA-N H-6DU. Both appear to be conversions of existing variants, using a pair of wing mounted hose/drogue pods. The pod design has a more than passing resemblance to the UK FRL Mk.32 series pod - UK sources claim FRL were engaged during the 1980s to engineer the conversion. Available photographs indicate configurations with and without the ventral search radar radome, and some indicate the glazed navigator's station in the nose has been painted over or reskinned with sheetmetal, and a weather radar fitted. The remote control gun barbettes and tail turret are deleted to save weight. What fraction of the Badger fleet will end up as tankers remains to be seen. The current age of the fleet varies roughly between 12 and 30 years, and the design is a very sturdy Russian derivative of 1940s Boeing technology. Publicly available data suggests that Badger crews often average less than 100 hours annual flying time, which if true indicates that the fatigue life in the Badgers could last for decades yet, corrosion permitting. 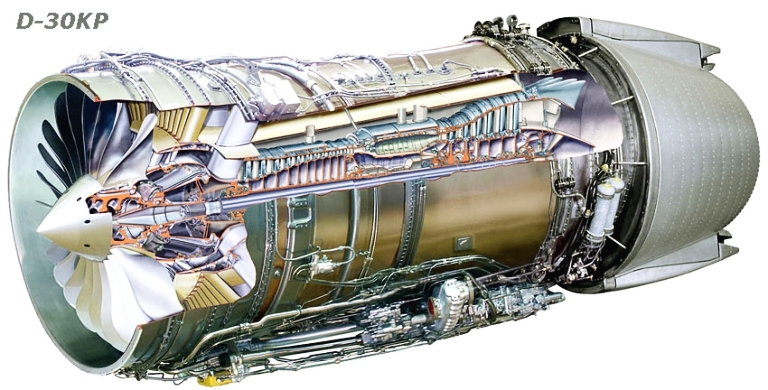 The bigger issue for the Badger are the fifties technology Xian WP-8 (Mikulin RD-3M-500) 21,000 lb class turbojet powerplants which are thirsty and maintenance intensive by current standards, and the antiquated avionics. Earlier attempts to re-engine the Badgers were abandoned. A newer technology 21+ lb class turbofan would have a major impact on the achievable fuel offload performance and the operational economics of the H-6U/DU Badger fleet. Conversion of 50% or more of the existing Badger inventory would provide a formidable aerial refuelling fleet by regional standards. Much will depend on perceived need vs demand for strategic strike tasking. The current inventory of around a dozen aircraft are claimed to be flown by the PLA-AF 9th Air Division. There is no evidence to date of strike tasked Badgers being fitted with refuelling probes. The natural candidate is the Tu-95/142 Bear probe, fitted either to the H-6 lower starboard gun port, or above the nose. 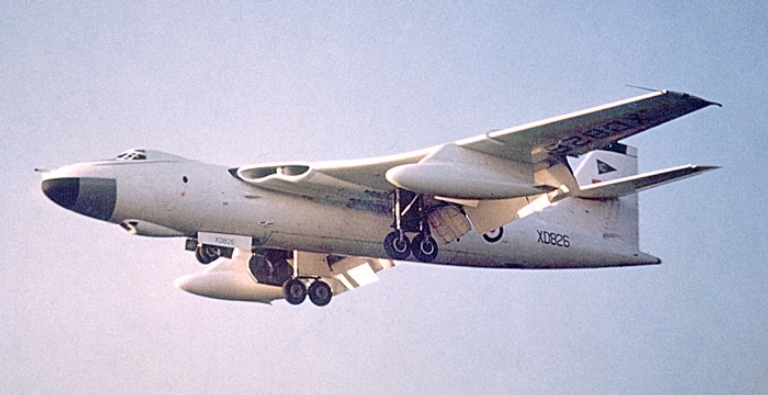 With a single refuelling an ALCM armed Badger could reach northern Australia from the mainland. This analysis is an expanded and updated derivative of the 2004 analysis. Additional analysis of PLA Badger growth options is available in the recent analysis of Soviet Maritime Reconnaissance, Targeting, Strike and Electronic Combat Aircraft. Australian Aviation - September 2004 - Backfires for China? CAS-1 Kraken on a H-6D Badger (PLA-N). Navy H-6DU gassing a J-8-II. H-6E - a baseline configuration for early H-6 builds. 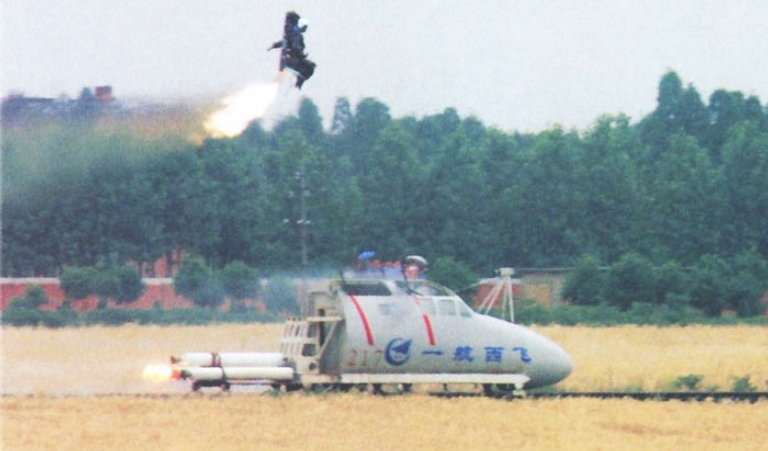 H-6U gassing a pair of J-8-IIs. 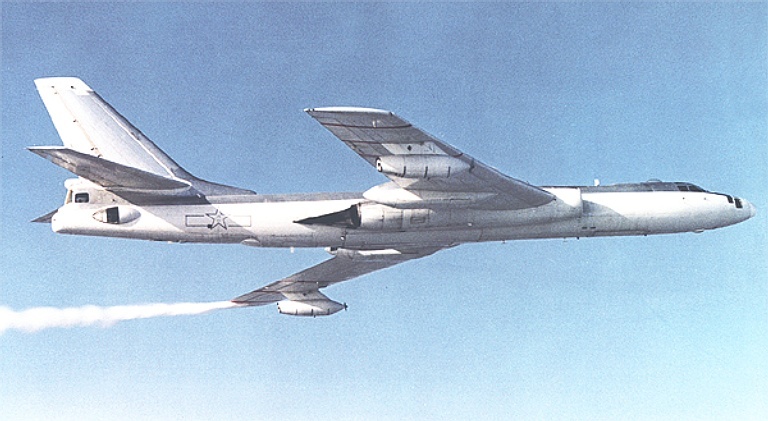 H-6U dumping fuel. Note the revised nose geometry. 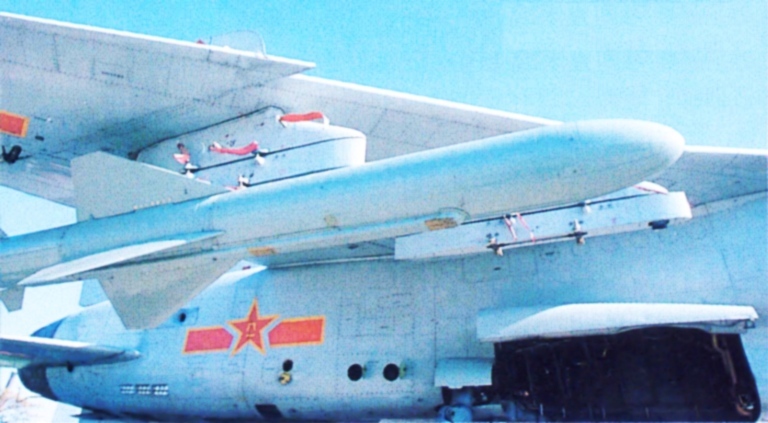 H-6H armed with two KD-63 ASCMs. 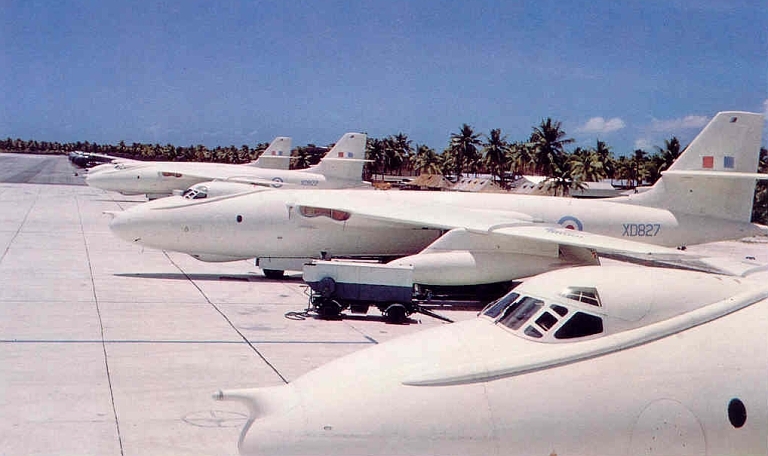 A row of parked H-6H Badgers. Note the aft ventral radome. H-6H Badger (Zhenguan Studio, © 2010 Air Power Australia). H-6H Badger attack radar radome detail (Zhenguan Studio, © 2010 Air Power Australia). H-6H Badger wing pylon (Zhenguan Studio, © 2010 Air Power Australia). H-6H Badger aft ventral radome (Zhenguan Studio, © 2010 Air Power Australia). Ground crew loading a TV/datalink guided KD-63 ASCM. 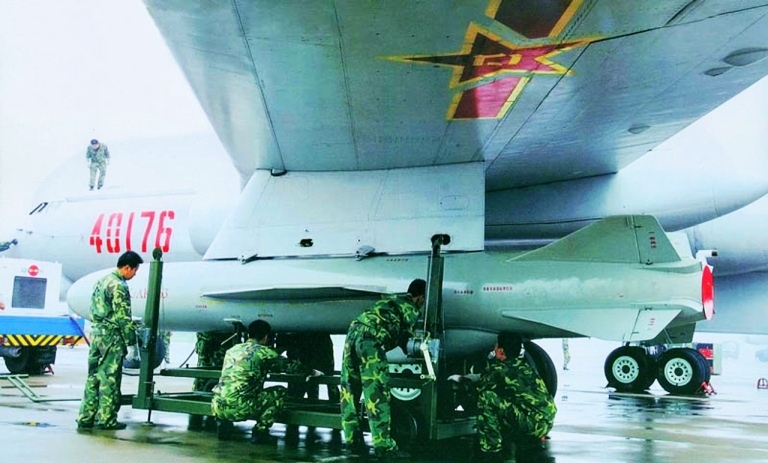 Ground crew handling a radar guided YJ-63 ASCM, another variant of the YJ/KD-63 family. Note the aft ventral radome on the H-6H Badger. 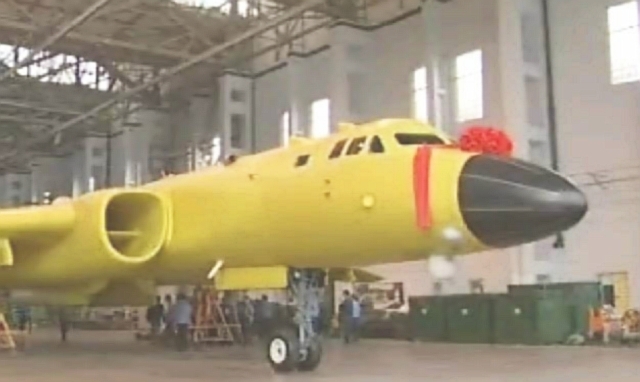 Still from the AVIC-1 video clip showing the prototype of the new build 'H-6M' variant. The missiles are likely YJ-80 series. 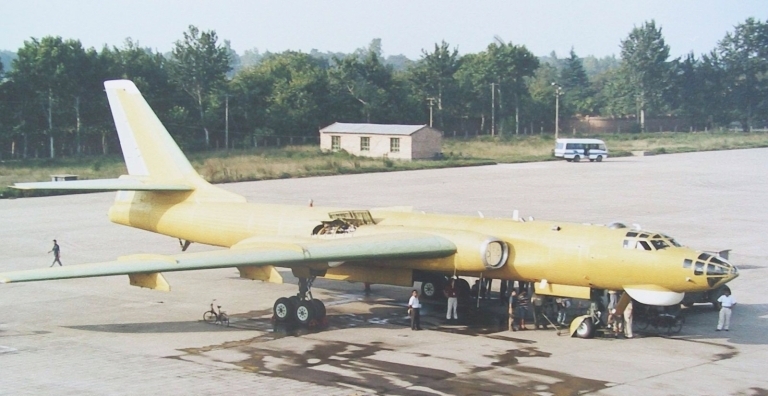 Another 'H-6M' prototype, in primer finish. 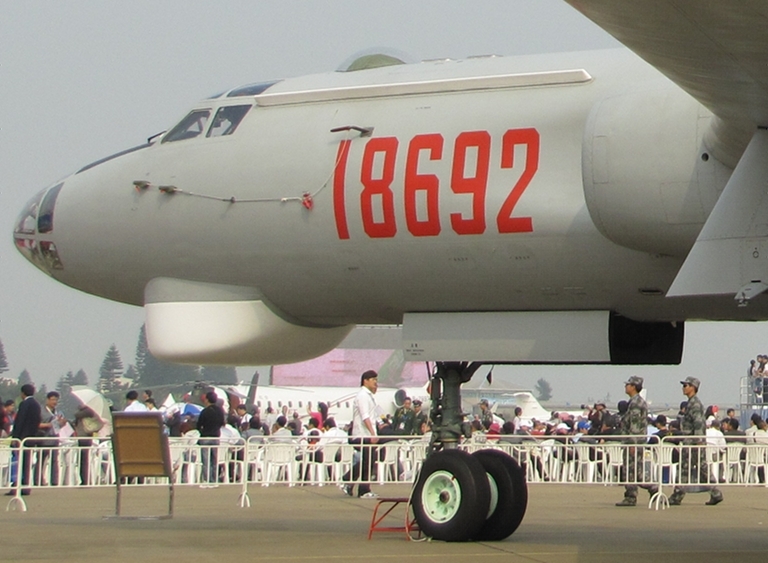 Ventral view of production 'H-6M' variant. Note the pylon arrangement and clean aft fuselage. 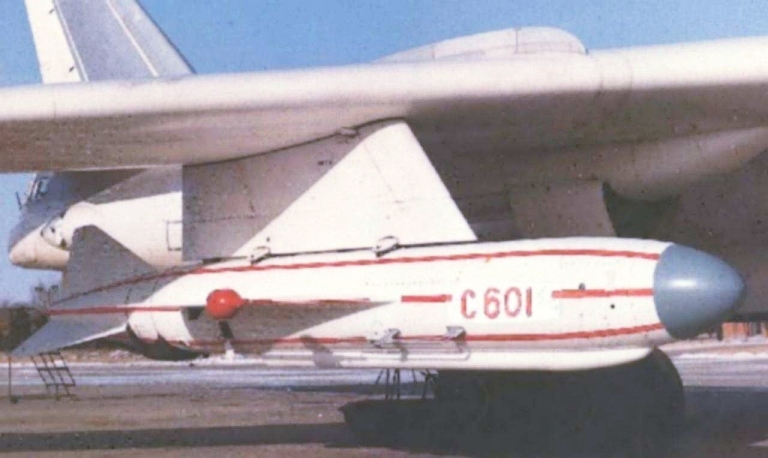 YJ-82K ASCM on a JH-7. Launch of a 'Tomahawk-like' PLA-N cruise missile, the YJ-62/C-602. This missile is a candidate for new production cruise missile carrier Badger variants. Raduga Kh-55SM Kent with conformal fuel tanks. Illegally acquired samples from the Ukraine permit the development of a cloned variant for the PLA. This weapon is also a candidate for new production Badgers. 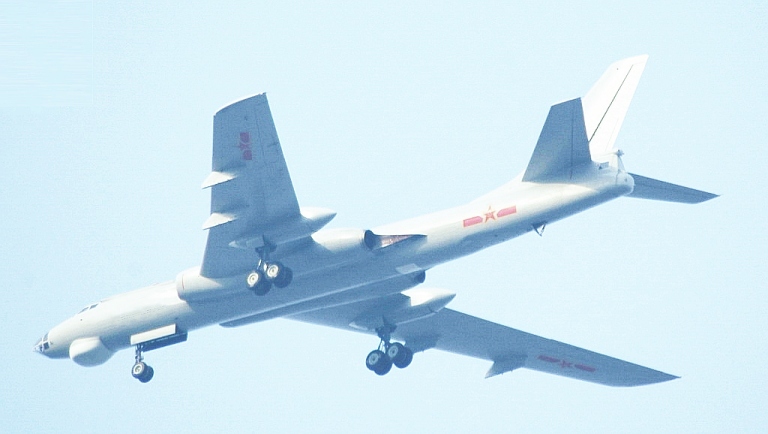 The most recent image of the H-6K to emerge on a Chinese internet site. This shows the dorsal and ventral radomes, the pylon arrangement and inlets well. The tailcome fairing is obscured. 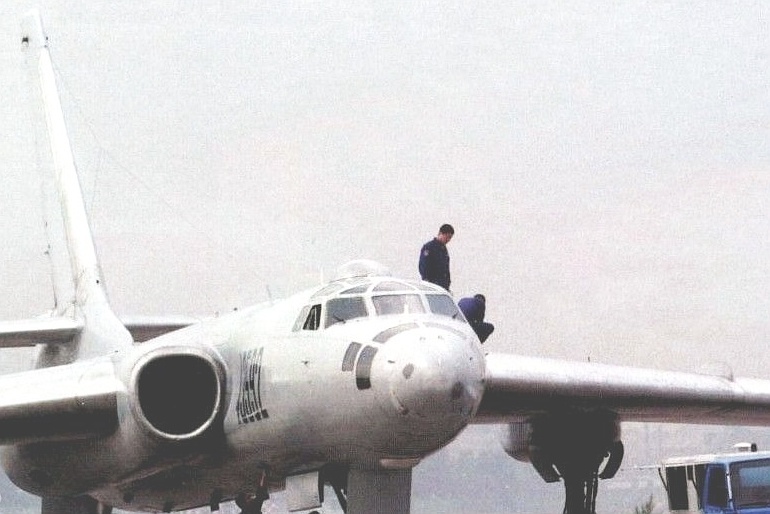 Top: Poor quality Chinese Internet images of the H-6K prototype, showing the six wing pylon arrangements and enlarged inlets, for a turbofan believed to be the Saturn/Aviadvigatel' D-30KP. 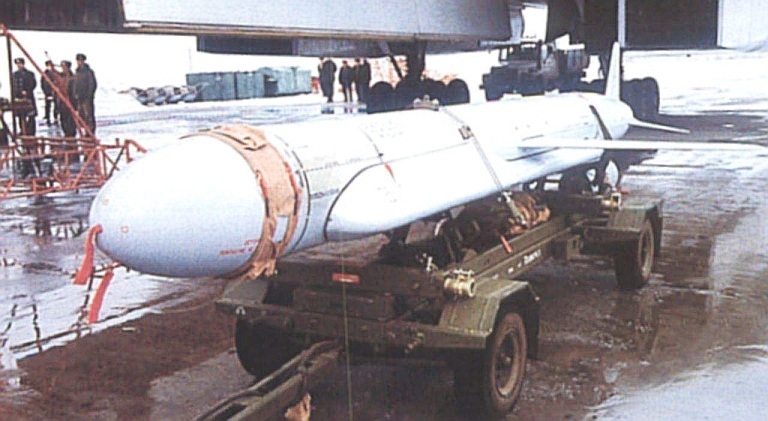 Note the size of the cruise missile payload. 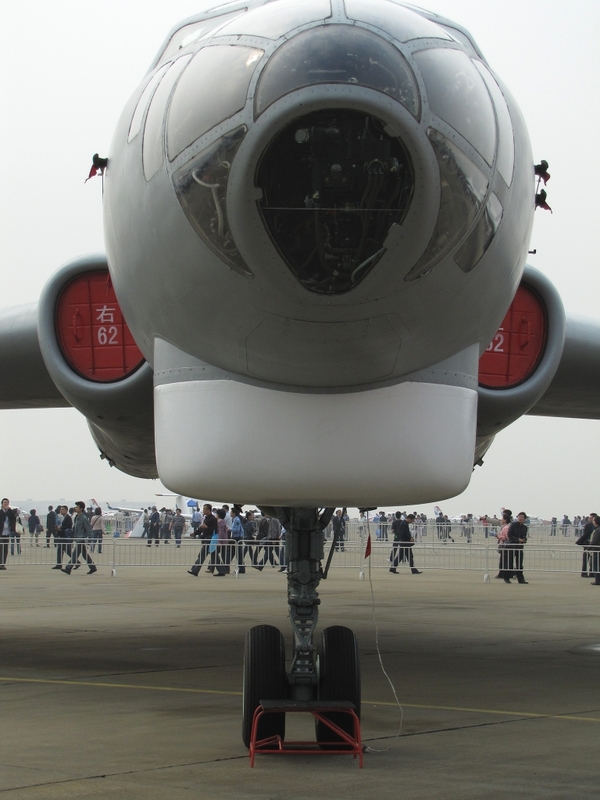 Centre: Xian factory image of revised forward fuselage on the H-6K, note the new attack radar radome, EWSP blisters and FLIR turret. Bottom: unlike the 'classic Badger' which required the crew to bail out B-29 style, the H-6K introduces ejection seats for the crew. Imagery Sources: Xinhua; MilitaryPhotos.net; Military.cz; Zhenguan Studio, other Internet sources.